These adorable little brownie Christmas trees are super simple to make and a perfect party treat. They are a really fun and festive twist on the traditional brownie square and they are 100% edible with their little pretzel stick tree trunk! I helped develop these for the December 2013 edition of Family Fun Magazine, along with some Frosted Brownie Dreidels! Kids can even get in on the decorating action, using any type of candy or sprinkles you can find, for an extra special, personal touch. Add some pretzel stick tree trunks. Spread some frosting over the top with a spatula. Homemade buttercream or store bought frosting both work great! I tinted mine with green food coloring and left some white for piping the decorations. With my left over white frosting, I scooped it in a little plastic bag, snipped off the corner and piped on some decorations. You can also skip this part and just add candy or sprinkles. You would even use the white to make a snow covered tree! I tried to make mine look like the string of the lights. Add some candies and sprinkles. 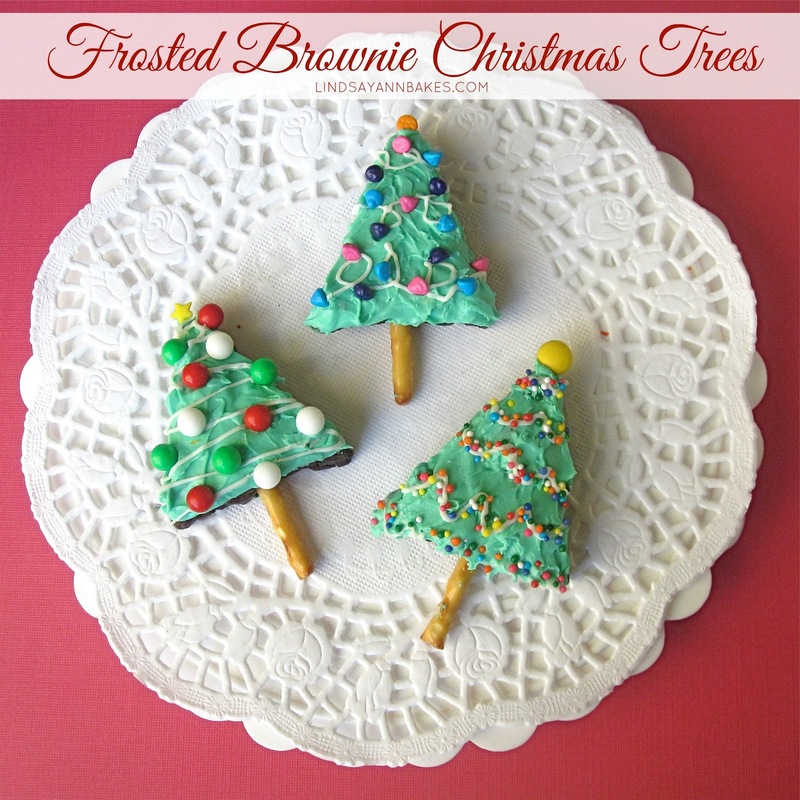 And there you have some simple, adorable Frosted Brownie Christmas Trees! Cut brownies into triangles. Stick a pretzel stick into the bottom. Spread some green frosting over the top with a spatula, reserving some white frosting for piping decorations. Add candy and sprinkles. Serve and enjoy! 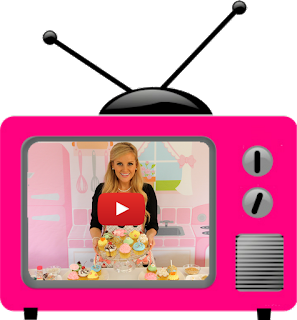 Click here to see my entire Holiday roundup for more fun recipes & treats!